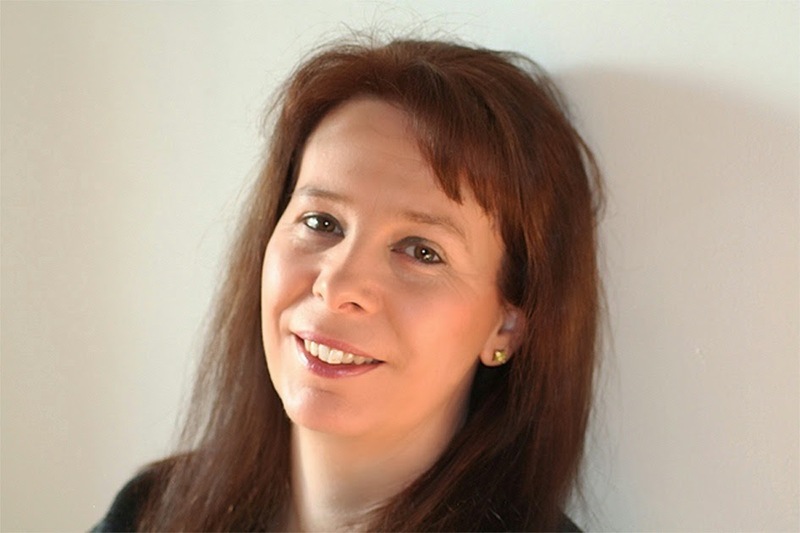 Today I have the great pleasure of welcoming back Helen Grant the author of the Forbidden Spaces trilogy back to the blog with this amazing interview from other amazing UKYA authors. I absolutely adored the first book in the trilogy, Silent Saturday, and I am hugely, hugely excited to read Demons of Ghent which was published this past week. To find out more about Helen Grant and her books, please do visit the following websites. Also, do check out the other stops on the blog tour! Demons of Ghent: UKYA authors ask the questions! People are falling from the rooftops of Ghent. But did they throw themselves off - or did somebody push them? Veerle has seen enough death to last a lifetime. But death isn't finished with Veerle just yet. somebody - has followed her to wreak his vengeance. But she watched the Hunter die, didn't she? My newest thriller, Demons of Ghent, came out on June 5th. I wanted to think up something completely new for today’s guest blog on the fabulous Fluttering Butterflies – so I came up with the idea of a group interview! I know quite a few other UKYA authors, so I asked them if they would contribute a question each. I love the questions they have asked! Big huge thanks to everyone who contributed! Caroline Green (Cracks, Hold Your Breath, Fragments) asks: What does it feel like when a book goes off into the world for the first time? Are you ready to let it go or is it a wrench? It can be a relief in some ways. I suppose it’s always scary wondering what the first reviews are going to say. But it’s a long road from having a great book idea to seeing actual copies of the book. I’ve never yet written a book that didn’t need some revisions, and then there are the copyediting and proofreading stages. By that time I am usually ready to send it off into the world! Lisa Glass (Blue) asks: Did you buy anything exciting with your advance? Not this time, because I had some very boring bills to pay with it. But when we were living in Belgium I had a book advance come in, and decided to buy myself one treat. I’d wanted a leather jacket for ages so I bought one from the Belgian fashion brand Talking French. It’s made of very soft, very dark navy blue leather and it’s my absolutely favourite piece of clothing ever. I’m not into fashion at all – I’m the Anti-Fashionista – but I just really, really wanted this one item. Rae Earl (My Mad Fat Diary, OMG! I’m In Love With A Geek) asks: Do you scare yourself with your own writing? Do you pull the sheets around your head at night & feel scared by what you've produced? What personal demons inspire the Demons of Ghent? I’m not so much scared by what I’ve produced when I read it back afterwards as actually scared whilst I am writing it! I identify very strongly with the lead characters in my books – I suppose all writers do – and it can be very tense writing the scenes in which they are in danger. I try to think myself right into their shoes; I look around their world and try to feel what they are feeling. There is a scene in Silent Saturday where Veerle is climbing the front of a building and I loathe heights; I was really on edge writing that, thinking about what she would see when she looked down, and the feeling of testing her weight on all the holds. My own stuff doesn’t keep me awake at night. I never imagine De Jager (the killer in Silent Saturday) prowling around the landing outside my room. He’s carefully caged in some corner at the back of my mind. I do feel very close to Veerle and Kris (the heroine and hero) though. I can’t quite believe they aren’t really out there somewhere, wandering around Brussels. I think Demons of Ghent does have a few demons of my own in it. The idea for the book came from an actual visit to Ghent - my first, in fact. 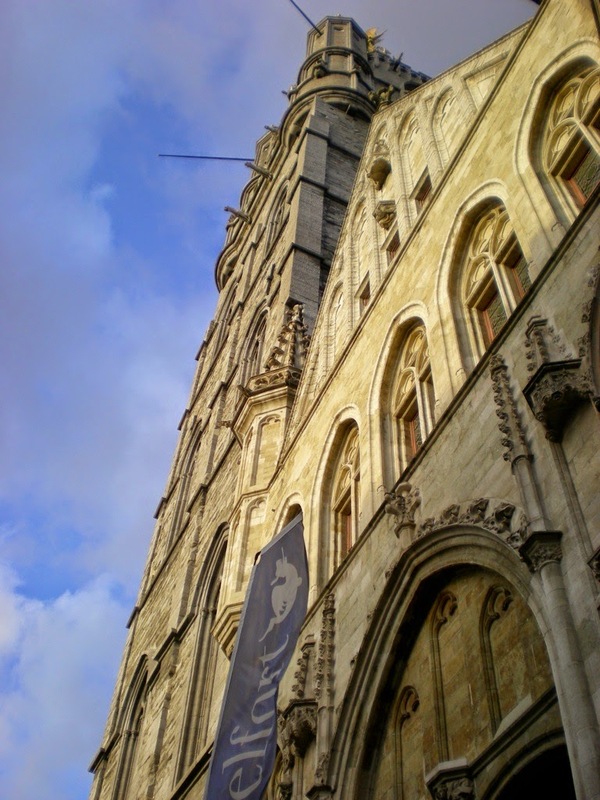 I went into Sint-Baafs cathedral to look at the Ghent Altarpiece, which is an amazing piece of art, huge and colourful and very very detailed. There are 170 figures in it and nearly all of them are looking at the Lamb of God in the middle. A few are looking to the side or down but whilst I was standing there studying the painting, I noticed that there was a single bishop staring right out at me. That really gave me the creeps but it also fascinated me. What was the painter trying to say? Did that single figure represent himself in some way? I had to put it into the book. I think the other thing is that when you are creating characters in a book, you can find yourself either idealising or demonising traits you recognise in your real-life relationships - or perhaps just exploring them. Claudine, Veerle’s mother, is based to a large extent on my grandmother, who suffered from severe chronic anxiety. When I was a child, I found her anxiety about things bewildering and frustrating. Now that I’m older, I have a lot more sympathy. So Veerle’s feelings about her mother are full of the conflict that I feel when I think about my grandmother – she hurts for her, but she also has to resist being pulled in and crushed by these irrational fears. Keren David (Lia’s Guide To Winning The Lottery, When I Was Joe, Salvage) asks: You often write about buildings - are they a special interest of yours? Now you live in Scotland can we expect some scary Scottish books? Old buildings are a special interest of mine – the older the better. I’ve always been a bit obsessed with the past. I think it goes hand in hand with my interest in visiting other countries and cultures. I like to try to imagine the mindset of someone whose life experience is totally different from mine. I wonder what it was like to live in a time when very few people could read, because printing presses hadn’t been invented yet so books were rare and expensive. Or what it was like to live when a simple infection could kill you and nobody had any idea what was causing it. It’s great to go to museums and see beautiful old artefacts, but nothing really beats going into an actual building that has stood for hundreds of years. I like to go around old churches and cathedrals and touch the stone and the wooden carvings. If you see some intricate piece of mediaeval carving, it is strange and thrilling to think of the person who worked on it, studying it as closely as you are now, centuries later. You feel a real connection with them. I’m definitely going to be writing some scary stuff set in Scotland. One of the ways I find inspiration is to explore my environment, and I’ve already spent a lot of time poking about in ruined churches and other lonely places. I think Perthshire (where I live now) will produce a different kind of book from my Forbidden Spaces novels. Those have an urban setting, which is a bit grubbier and faster-paced than my previous books. I can imagine a novel set in Perthshire having more of a sense of brooding mystery. You can feel the history of the place in the landscape here – in the ruined churches and abandoned villages, and the standing stones guarding lonely places. CJ Daugherty (the Night School series) asks: Have you ever done any urban exploring yourself? What draws you to this? Yes, I have. When I was researching the trilogy (of which Demons of Ghent is the middle book) I went out with some experienced urban explorers in Belgium. We visited a large factory that was in the process of being demolished – we went on a Sunday when there was no work going on. That was a strange and thrilling experience. You would think that when the place closed down, they would have removed everything prior to demolition, but they hadn’t – so far as I could tell, the workers had pretty much just left everything where it was and walked out. There were even Coke cans and coffee cups on the workbenches, covered with a thin layer of dust. I’d love to do more UrbEx. The feeling of decay is eerie and exciting. There is also the thrill of the forbidden, of being in a place where you are not supposed to be. It’s a real thrill, too, not an artificial one like going on a rollercoaster. I’m not really surprised that my heroine Veerle gets hooked on it. Michelle Harrison (The Thirteen Treasures, One Wish) asks: What's the weirdest thing you've done in the name of research? I suppose the research I did into the rooftops of Ghent, for Demons of Ghent. I hate heights so badly but because part of the action is set on the rooftops, I had to know what it’s like up there. I went up the Belfort tower which is 91 metres high, to take photographs. There is an outside colonnade which has super views but it isn’t glazed so the wind comes howling in and in spite of the stone wall it doesn’t feel very secure. I was so afraid that I couldn’t actually look over the side. I crouched on the floor and held the camera over the edge, clicking away without being able to see what I was photographing. My German friend Gaby came with me that day and she was laughing her head off at the sight of me crawling along! Then I spent simply hours poring over the photographs, checking what was and wasn’t feasible for the book. That was all a bit strange – studying people’s skylights and ventilation flues. Leila Rasheed (At Somerton: Cinders & Sapphires, Diamonds & Deceit) asks: How do you manage not to scare yourself witless? Um…I don’t manage it. When I wrote the denouement of Silent Saturday I was actually hyperventilating. I know it’s stupid because I know what’s going to happen; in theory as the writer I’m in control of the scene. But it didn’t feel like that! There’s one bit in Demons of Ghent which makes me feel a bit queasy to think about because of my horror of high places. And finally, from Keren again: Which character is your favourite?